Sometimes you just need to check out a few different options before you can decide on just one that really works best for your home. That’s definitely true when it comes to the countertops you decide to put in. You want something that has a great look and style, but also great versatility and practicality. That’s one place where soapstone countertops can be questionable. 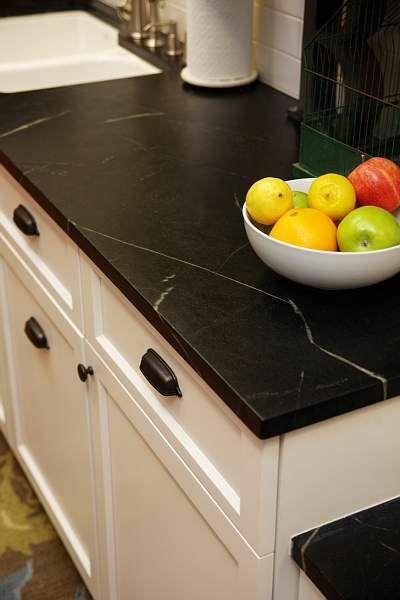 If you’re looking for something that’s really durable and strong you’re going to love soapstone countertops. 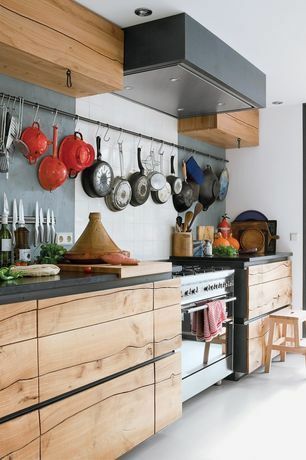 You’ll also really like the idea of being able to set all of your pots and pans directly on the counter. You don’t have to worry about looking for hot pads or trivets. That’s because this stone counter is super durable against heat. 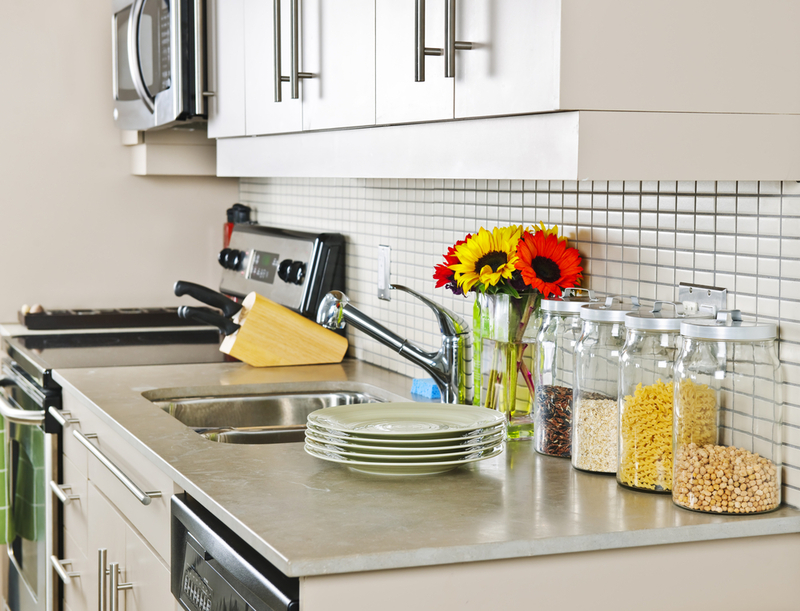 Do a little maintenance in order to keep things looking great with these counters. Soapstone countertops definitely do better with routine oiling. This will bring out the color even better and it’s going to highlight the veining. You’ll end up with a great style from this simple process, but it’s going to take a little work. If you’re the type that absolutely can’t stand scratches on your furniture or countertops then soapstone is not going to be a great option. It can and will scratch over time, no matter how carefully you take care of it. It even chips and starts to gouge out over some time. If you’re not going to be happy with that it means replacing frequently or skipping this material entirely. For those who don’t want a lot of maintenance, you’re also going to want to look somewhere else when it comes to countertops. Soapstone countertops are going to take some effort because you really need to care for them to try and keep the damage down. You’ll also want to oil them to keep the beautiful coloring that makes soapstone such a great choice. 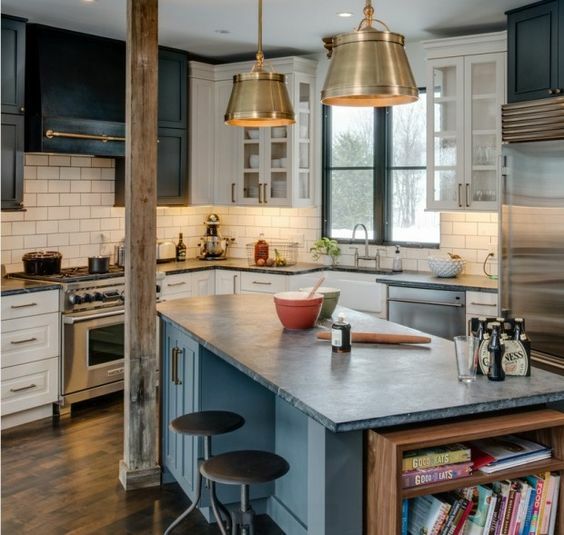 Soapstone is actually going to be a little bit more expensive than you might think. 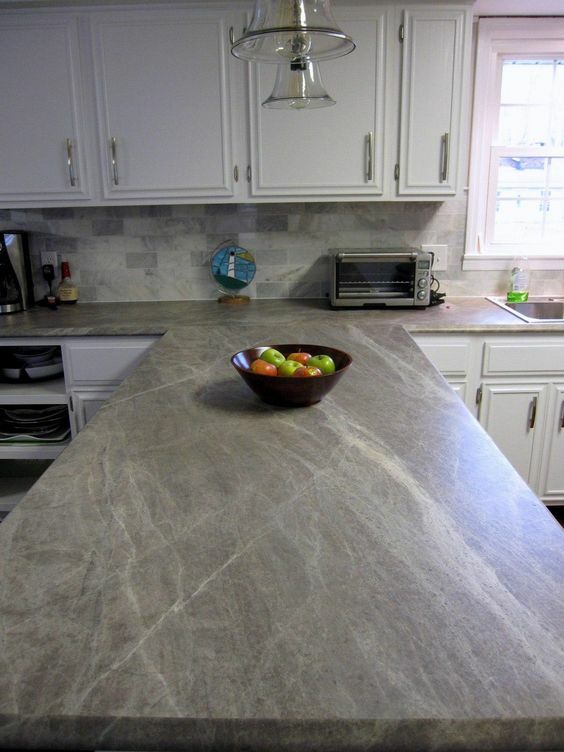 Stronger forms of stone like granite countertops and quartz are around $50 – $100 per square foot Soapstone is actually around $70 – $120. Depending on the specific colors and quality as well as the size you need, you’ll pay a little more or less for yours. This part is easy. You really need to give soapstone a chance. 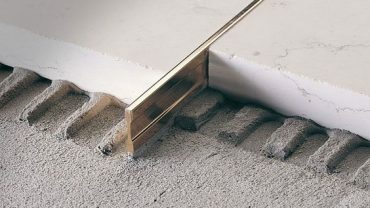 Take a little bit of time to look it over and see what you can really do with this amazing material. There are so many different colors and designs out there that you’re going to be amazed at what your counters can look like. That’s why we’ve decided to help. 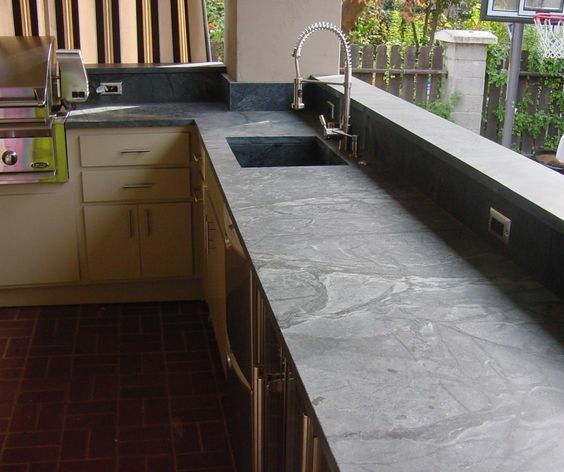 Here you’ll find a number of different choices and ideas for soapstone countertops. Each one will make you question what you really want. You may just find yourself falling in love with this beautiful material. That means trying to decide just what color you want to put in your counters next. 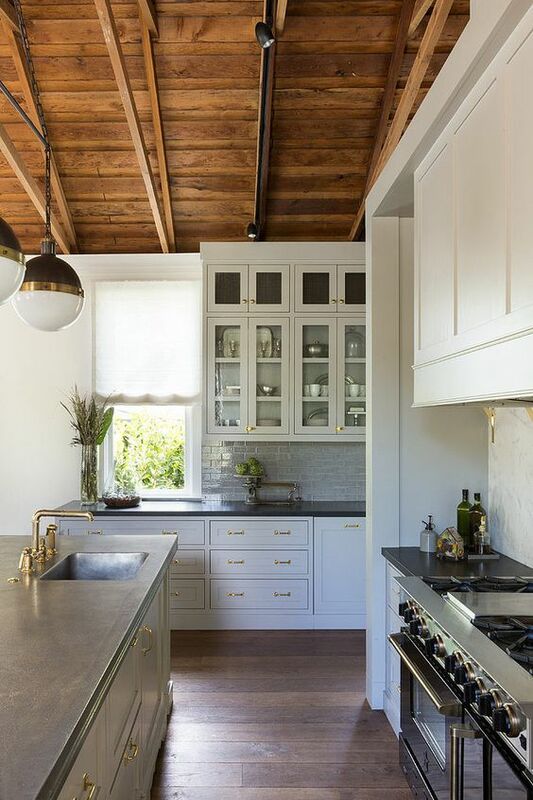 Here you have a little bit of a color to the soapstone, or at least it appears that way with the sun and the off-white cabinets. It definitely makes the soapstone appear a little more fun. 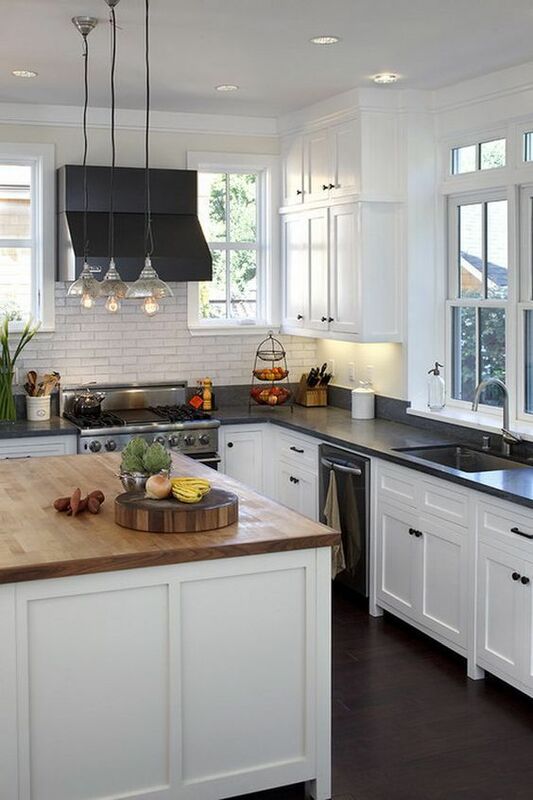 With this kitchen you’ve got a mix of the soapstone counters and butcher’s block to get some contrast. paired with the white it gives you both an elegant and a rustic look at the same time. 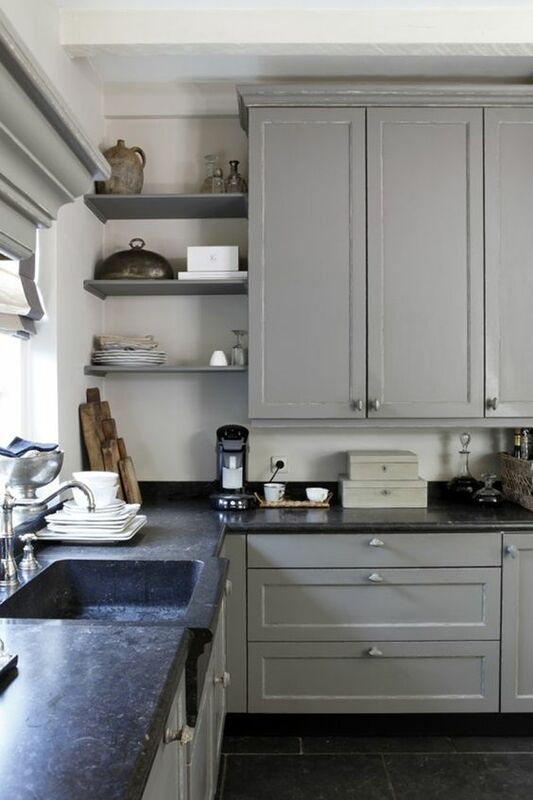 Here the soapstone is paired with gray cabinets and that seems to make it a little darker. If you’re going for a muted tone for your kitchen it’s definitely right here. These soapstone countertops have definitely been oiled because you can see all the white streaks and markings throughout them. It gives a more stylish look you’ll want to see in your kitchen. This countertop definitely looks pale and when it’s paired with gray/off-white counters it looks even more so. It’s definitely not oiled either, which means you can see what your soapstone countertops will look like without it. Here’s a really unique kitchen just with the unstained look to the wood cupboards. When you pair it with the elegant soapstone it looks rustic and fun for your outdoorsy themed kitchen. This soapstone has some really nice markings and the way it’s designed as the backboard too you get a whole lot of this great look. You don’t even need to look at the cabinets with this one. 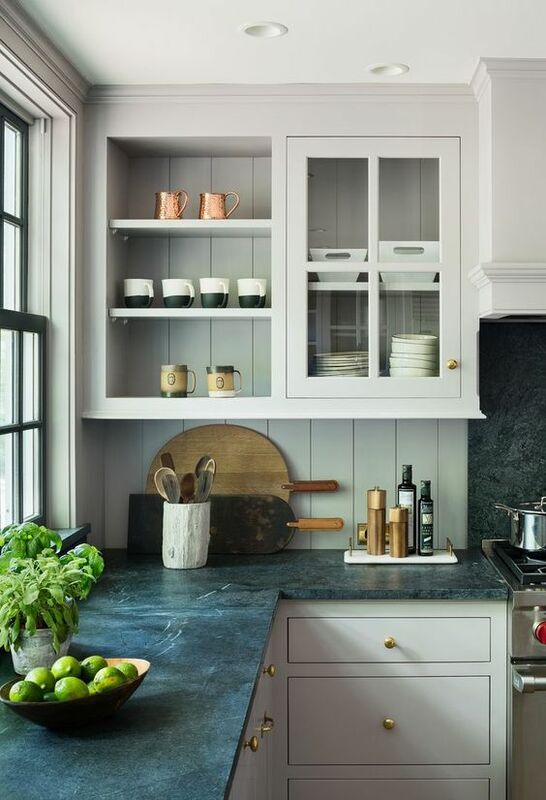 This pale gray soapstone almost blends in with the off-white cabinets and the white streaks running through make it look even more expensive and elegant than it already does. 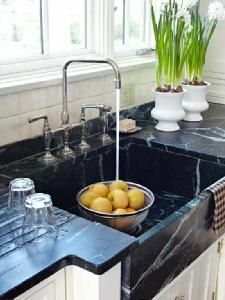 Here we have some jet black soapstone to give off an elegant touch on the white cupboards. With the smaller streaks of white running through you get just enough of a tie-in without too much taking away from the black. 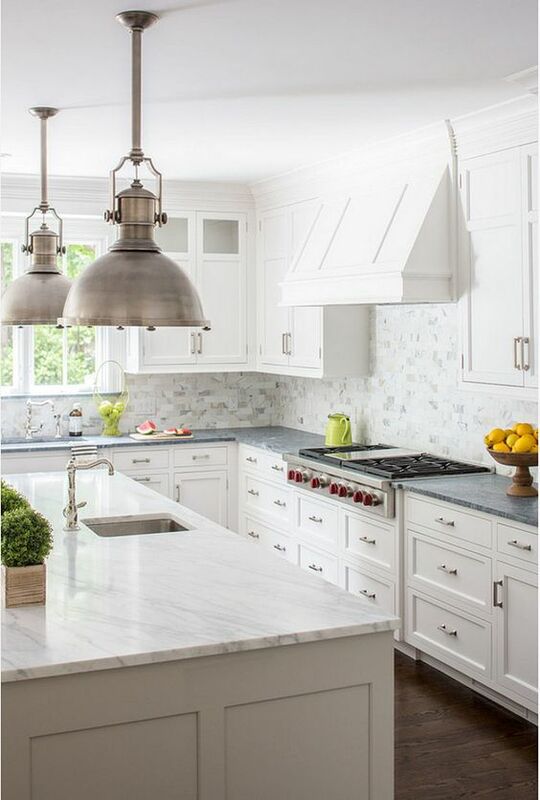 Pale soapstone countertops paired with white marble definitely look great. In this kitchen the soapstone provides the only color accent in this otherwise white on white kitchen, which makes it stand out even more. Colorful cabinets really make a kitchen stand out and in this kitchen the ivy green makes the black soapstone look just right. It fades up the wall and down into the sink and you get a really outdoorsy look. 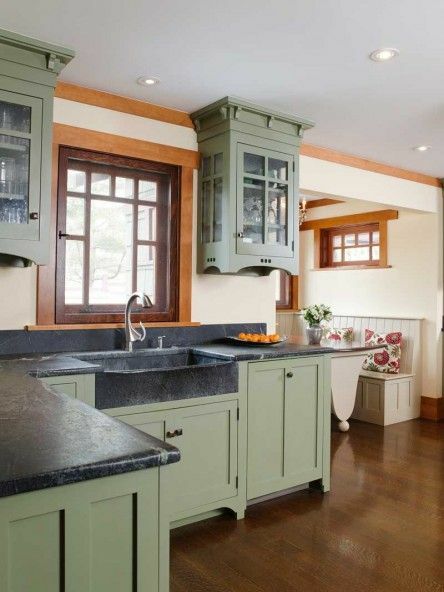 These blue cupboards help give a little bit of color and accent to the soapstone counters on top of them. It’s a whole lot of dark, but with the white backing it definitely looks fun and vibrant instead of dark and depressing. This kitchen has a little bit of everything but it seems to tie in pretty well. 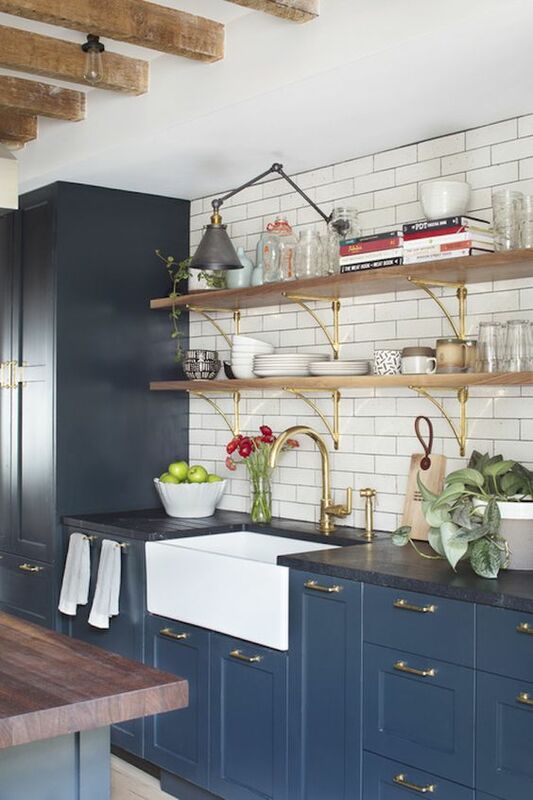 The pale soapstone over white and blue cupboards and the black and white over the top all seem to match somehow and create a fun but eclectic look.